Your body uses magnesium to help turn food into energy, synthesize protein, regulate blood sugar levels, keep your immune system healthy, maintain a steady heart rate, keep your bones strong and your nerves and muscles functioning properly. Supplements can help you meet your recommended intake for magnesium. However, some supplements may be better than others. Magnesium supplements contain magnesium along with another substance, with each type of supplement containing different amounts of elemental magnesium. Magnesium oxide and magnesium citrate are two types of magnesium supplements. Other types include magnesium carbonate, magnesium sulfate, magnesium chloride, magnesium gluconate, magnesium lactate, magnesium aspartate and magnesium hydroxide. Magnesium oxide supplements contain 60 percent magnesium and magnesium citrate supplements contain 15 percent magnesium. The magnesium in some types of supplements is more bioavailable than that in other types. Magnesium citrate is more easily absorbed and more bioavailable than magnesium oxide, according to a study published in February 1990 in the "Journal of the American College of Nutrition." Because a higher percentage of the magnesium contained in magnesium citrate supplements is absorbed these supplements do not need to contain as much total magnesium to have the same effect as magnesium oxide supplements. The recommended dietary allowance, or RDA, for magnesium is 400 mg per day for men, 310 mg per day for women and 350 mg per day for women who are pregnant. Aim to consume this amount from food, but if you can't meet this goal from food alone you may want to get supplemental magnesium. The tolerable upper intake level for magnesium supplements for adults is 350 mg per day. Doses above this level may cause toxicity symptoms. You are unlikely to get too much magnesium from food alone, but you can get too much magnesium from supplements. Symptoms of magnesium toxicity include irregular heartbeat, diarrhea, nausea, appetite loss, muscle weakness, very low blood pressure, difficulty breathing and changes in mental state. 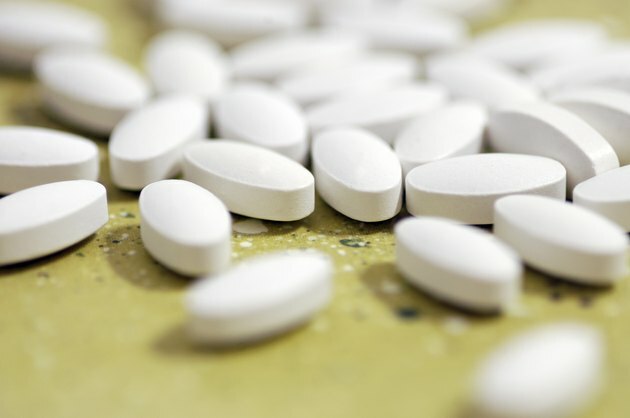 Magnesium supplements can interact with antibiotics, calcium channel blockers, blood pressure medications, diabetes medication, levothyroxine, anti-malaria drugs and osteoporosis medications. Is it Safe to Take Magnesium When Pregnant?